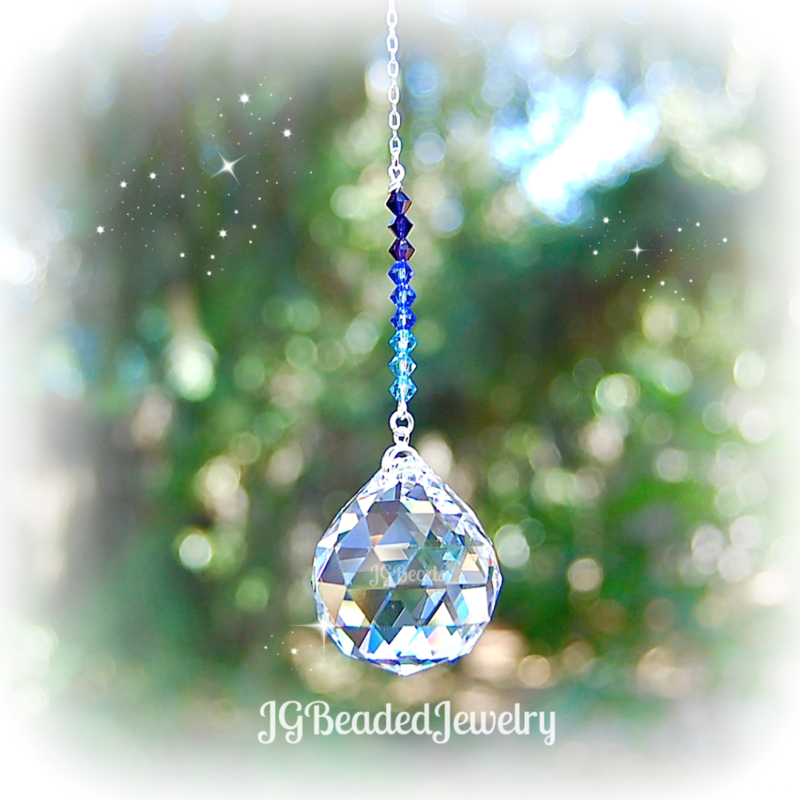 This blue ombre hanging crystal suncatcher is uniquely designed using blue indigo, sapphire and aquamarine Swarovski crystal beads in the ombre pattern. 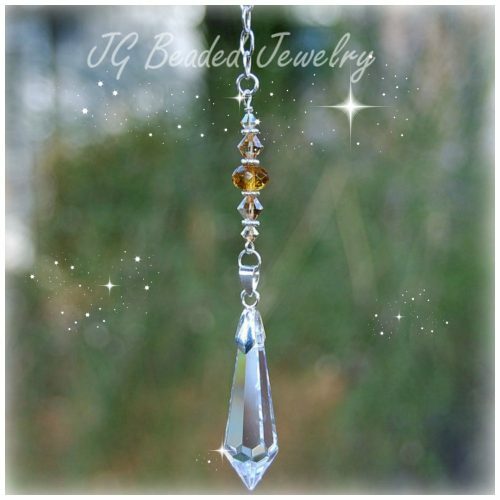 The clear prism crystal is 30mm in size and can be hung on the rear-view mirror, from your ceiling fan or light, in a window at home, the office, nursery, sun porch or wherever you choose. If you’d like ore than what is available, please contact me with your request!